← Why do layouts fail? 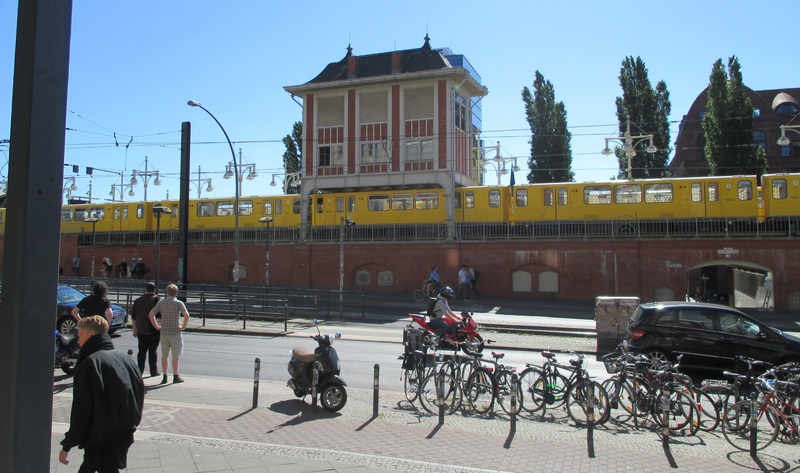 Maxine and I recently spent a long weekend in Berlin, visiting our eldest daughter. We thoroughly enjoyed Berlin, despite having chosen to visit the same weekend as the Champion’s League (football) final. It’s an interesting city, the greenest in Europe, with all those Cold War connotations, and endless quality museums (no we didn’t visit the currywurst museum). And there was considerable railway interest as well. 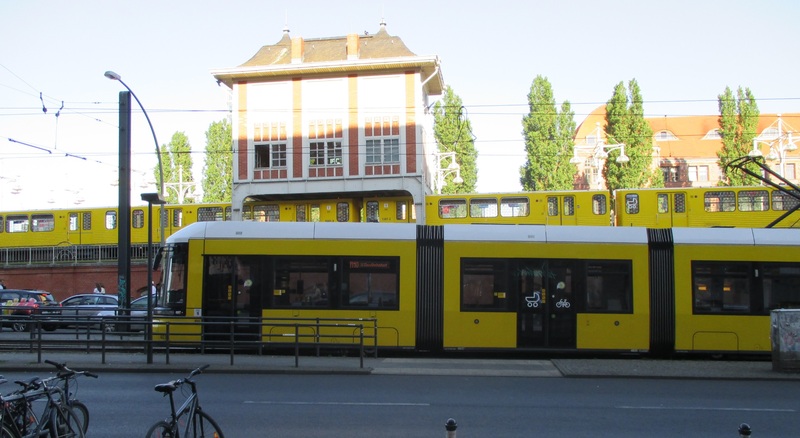 Although it was coincidental, as Ruth works in the hotel, I was delighted to be able to sit at breakfast and watch yellow U-Bahn trains enter the Warschauer Str. 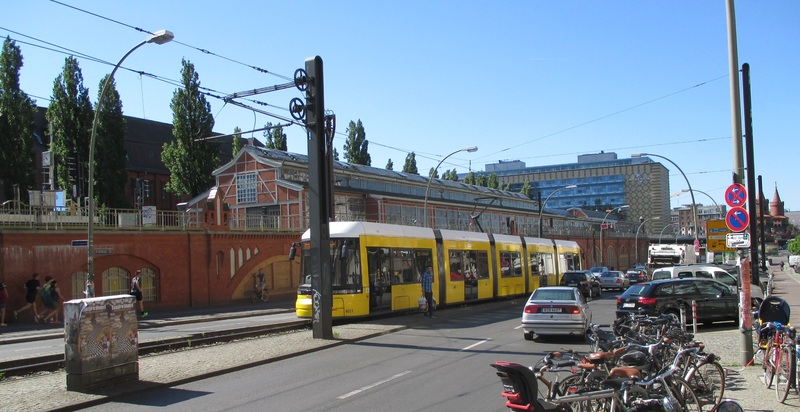 terminus, elevated on an attractive brick viaduct, with yellow bendy-trams in the adjacent road. Here’s the view leaving the hotel…. That’s what I call a location! The final photograph is looking down to the River Spree and the location of a long remaining section of the Berlin Wall. 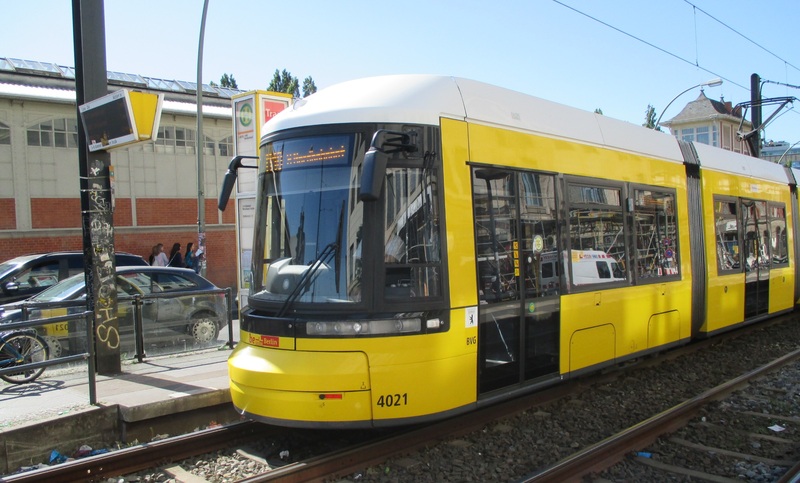 We didn’t need to take a tram ride, but I was very impressed by the compact articulated units, that could turn on a radius better suited to a small 4-wheeled car. 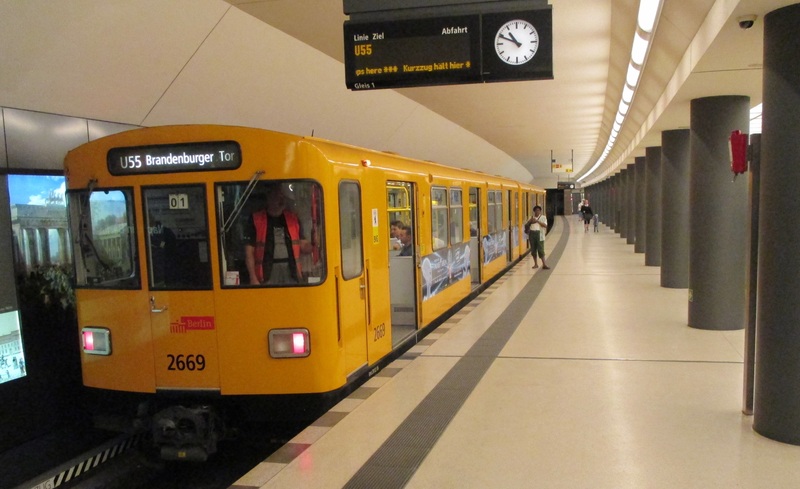 We used the U-Bahn extensively, especially as we were just 3 stations from Ruth’s apartment. 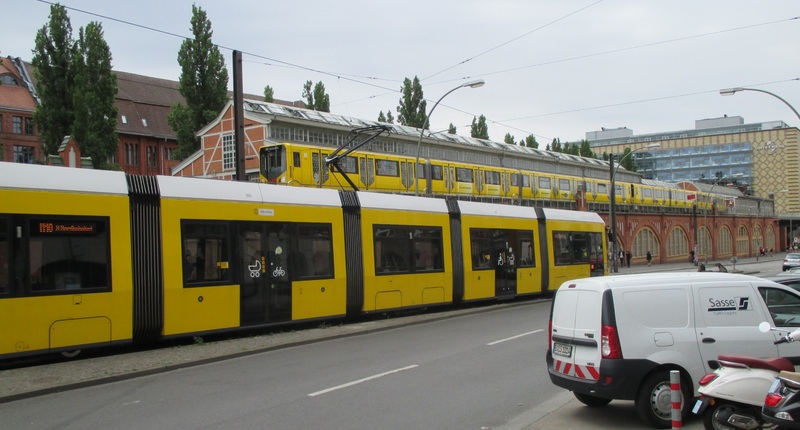 This final shot today is the little 2-car train that shuttles from the central Berlin station, Hauptbahnhof, two short stops to the Brandenburg Gate (unfortunately taken over by EUFA for a football exhibition, but still a sight to see). It’s some time, I think, since I went on a 2-car train, and this was an older unit with metal handles that opened the (powered) sliding doors. The central station is just a few years old, and it is quite something – a brand new steel and glass station that looks more like Bluewater or an airport with the shopping malls on several levels. Even the trains are on three levels, and two levels cross at 90 degrees. Friday was a full day’s tourism, to allow Ruth to get a little work done. Packed into the day were the Brandenburg Gate, the Holocaust Memorial and the underground Holocaust Museum (moving, gruelling, but an impeccable presentation). Then on to the parking lot site of Hitler’s bunker, to Checkpoint Charlie (nothing to see, a tourist trap, but for those of a certain age, walking through Checkpoint Charlie just has to be done), and finally to the Jewish Museum (an interesting museum in a fine building). Well, they were all in the same part of the city and more or less on a straight line. After that we slowed down a bit!! 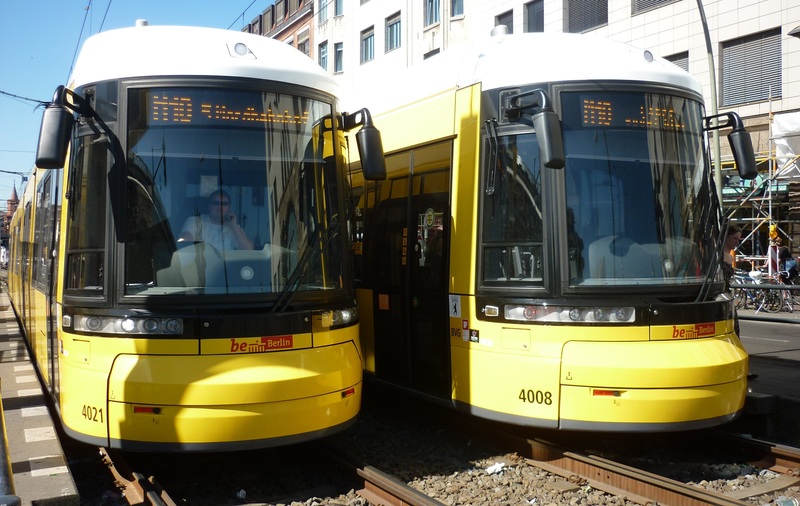 Next time, the S-Bahn and main line DB trains. 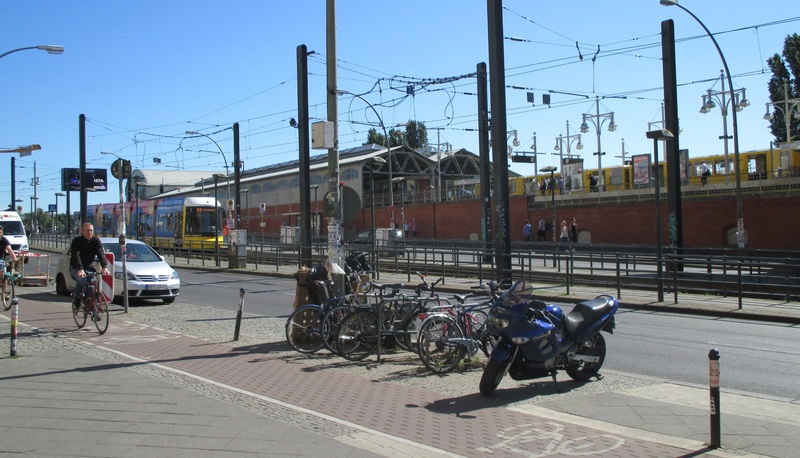 This entry was posted in ESNG, Inspiration, Out and about, Prototype and tagged Berlin, inspiration, prototype, railway. Bookmark the permalink.